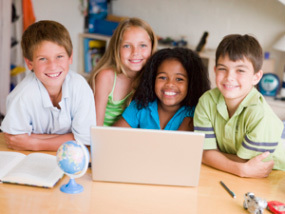 Our before and after school school-age program focuses on supporting your child's education. We provide a homework area to help make your child's studies easier, and we encourage teamwork and problem solving throughout the classroom. The school-age classroom is very spacious including a homework room for independent or group study and a separate cubby and coatroom for each child to organize their personal belongings. Our "family team", made of highly educated and qualified teachers, is certified in CPR, and First Aide training. Anna's Bananas Daycare & Preschool has a professional nurse visit monthly to inspect the safety of the center's environment, and to review and discuss any illness that has been reported in the last month. Anna's Bananas Daycare & Preschool offers full daycare for all non-school days, including the days school is closed all day or is released early due to severe weather. Copyright 2019 Anna's Bananas. All Rights Reserved.